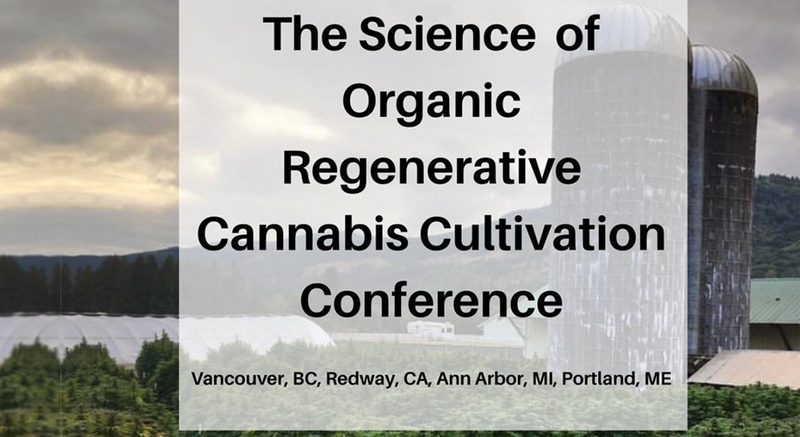 We will be in Vancouver BC January 11-13 2019 for the Science of Regenerative Cannabis Cultivation Conference will be held! We are very excited to bring together these amazing educators for the British Columbian and Canadian Growers. It has been too long since we have had a true cultivation conference where we have the opportunity dive deep into cultivation techniques. There will be enough time to get all of your questions answered on how to grow the cleanest most potent garden for this future market. It will be held the same weekend as the Lift Cannabis Expo so people from all over will have the opportunity to see this Cultivation Conference. There will be limited seating so get your tickets right away!! If you cannot make it to Vancouver BC this amazing event will be held in 4 locations. see below and find the one closest to you!